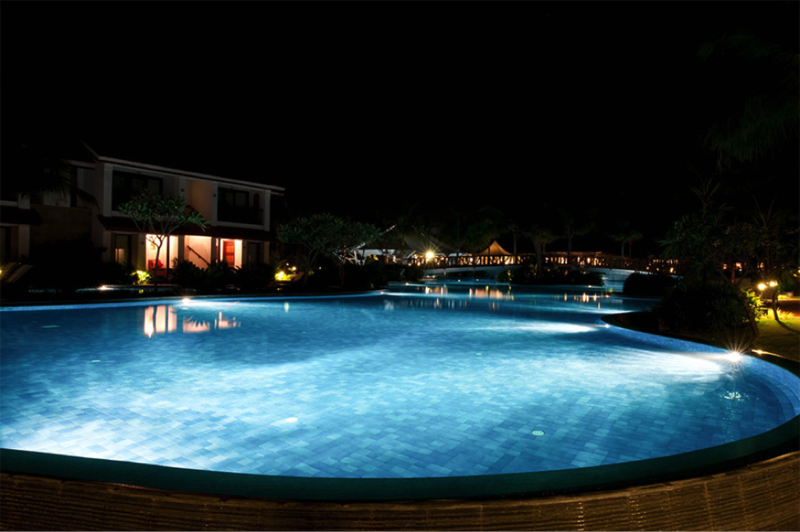 Pool lighting is useful when you’re looking to create an eye-catching an ambient setting for night swimming activities. What Are The Main Issues You Must Consider When Installing Lighting In Your Pool? Carefully check the IP value when buying pool lighting. These two numbers will give you an indication of the protection level you’ll need against liquids and dirt. The ideal IP value for underwater lighting should be 68 (highest possible rating). Surface-mounted spots are most commonly used in ponds. Recessed spots are highly recommended for swimming pool, as they can be built seamlessly into the walls of the pool and avoid the risk of injuries. RGB LED spots can add value by providing spots with a light blue tint. This feature highlights the wall covering of your pool as well as the natural colour of the water. If you’re not finding the blue tint attractive, you can always opt for more subtle colours such as red, purple, green or yellow. When it comes to pool lighting, it pays off to only light up a few spots in the entire pool, as the water is acting as a reflector. One spot every three to four metres is a good guideline plus underwater lighting can be placed at half the water level along the length of the pool. When you buy pool lighting, make sure the work will be carried out by a professional, as the installation poses possible safety issues. People always consider underwater lights mounted in the pool, but what about the area surrounding the pool. You might have a stunning garden and a striking water feature that you can highlight with installing a spot-on pin. You also might want to consider ground spots or garden poles for accentuating the contours of your pool and transform your swimming pool area into a scenic nightly paradise. The great benefit of LED lights is that they are bright, environmentally friendly and last a long time. On average they last 30000 hours as opposed to the 5000 hours of incandescent bulbs. They are more expensive, but a cheaper option when you’re thinking long-term. Lighting can transform a pool from just a functional swimming pool into a striking feature during night time. There are two options when you’re installing pool lighting: incandescent lights or LED globes. The ideal choice is LED lighting because they use less electricity (therefore reducing your running costs), they are environmentally friendly, they last longer plus you have a selection of options available in terms of colour. Put some thought into the positioning of your lights to give you the best possible effect when you are using your pool at night. 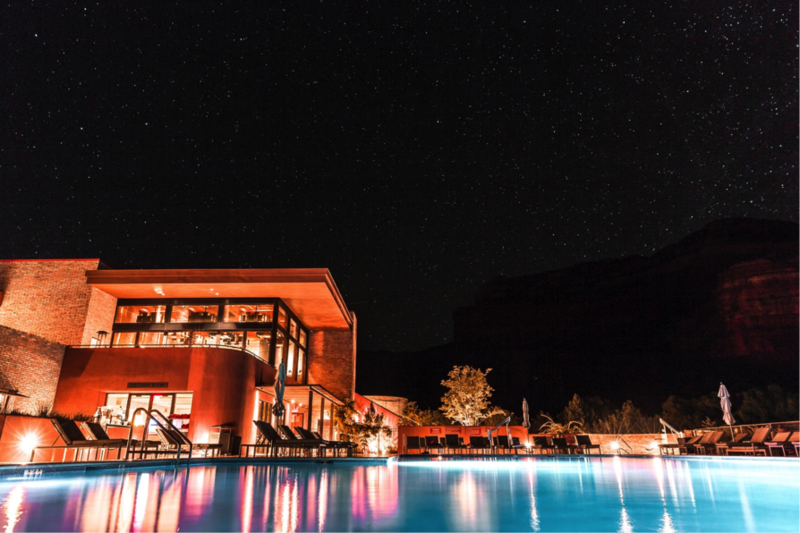 By keeping your swimming pool and the surrounding areas well-lit at night, you’re providing a more attractive setting and a safer environment for the family.